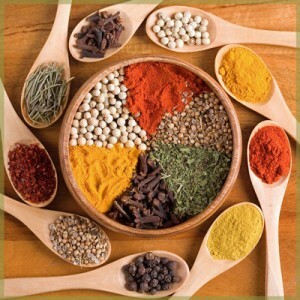 Ayurvedic Consultations will determine a person’s unique Ayurvedic constitution, identify any imbalances that may be present, and will assist in developing a personalized treatment program. These consultations foster an awareness that allows one to create balance and harmony, thus avoiding the onset of symptoms. If illness is already present, Ayurveda helps you to create the optimum environment in your body for healing to take place. Prior to your initial consultation you will received an in-depth questionnaire to fill out on your own. You will need to email the forms at least 24 hours prior to the consultation. Each initial consultation session lasts 1 hour. During this time we’ll discuss specific concerns you have regarding your health, your diet and lifestyle. With this discussion, plus pulse and tongue diagnosis, a picture of your Ayurvedic constitution will become clear, and also the causes of imbalances. Using the information from the Initial Consultation, a personal Wellness Plan will be created just for you, this may include: Nutrition recommendations, Herbal formulas, Detoxification and Cleansing programs, and Lifestyle suggestions, all pertaining to your specific needs. Follow-up appointments are suggested weekly, bi-monthly, or monthly after the Initial Consultation. Follow-up appointments are designed as a check-in and to make adjustments to your Wellness Plan accordingly. Changes may be made to the program as needed to help you to reach your balanced state. Follow-up appointments are in person, by phone, or by video conferencing. These appointments may also involve Yoga, Breath work, Mindfulness, or Deep Relaxation sessions. Book a Session for Ayurvedic consultations using the Paypal button below. Be sure to include a day & time preference and we will get back to you soon to confirm or suggest other available times. For other payment options, please Email or Call (415) 855-0352. Free 15 minute phone consultation for Ayurveda, Yoga, & Mindfulness. Ready to get the support you need to make positive changes?